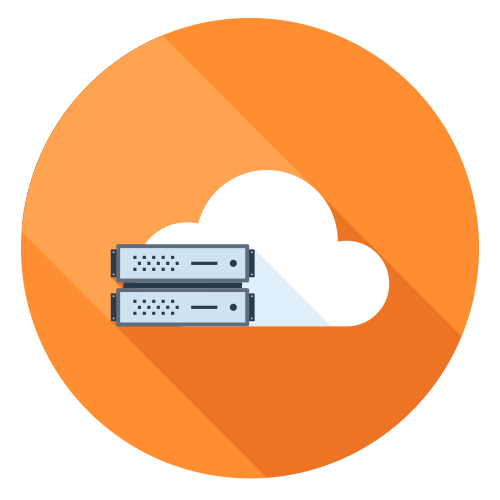 Since 2006, Amazon Web Services (AWS®) has been a very active player in delivering on-demand, cloud-based computing solutions. Yet, with a variety of products like Cloud Directory, Directory Service, Simple Directory Service, AWS Single Sign-On, AWS IAM, and more, Amazon’s identity management portfolio can be confusing. 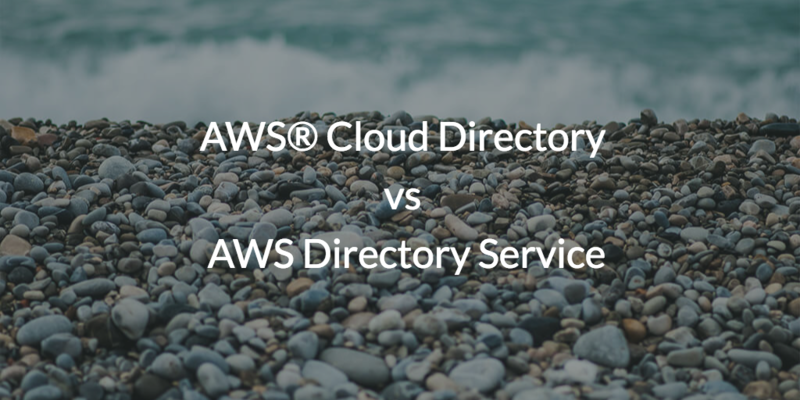 Today, we will talk about AWS Cloud Directory vs AWS Directory Service, which, although they sound alike, are two completely different services. AWS Cloud Directory is really a platform for IT organizations and developers to build upon. Examples of what AWS Cloud Directory can support range from HR systems, to organizational charts and information, and fleet management systems. The concept is to create a database that can generate hierarchical relationships between objects, including machine registration and course catalogs. This isn’t really like a traditional directory service that IT admins have come to know (i.e. Microsoft® Active Directory® or OpenLDAP™). Instead, AWS Cloud Directory is designed to store hierarchies of data. AWS Directory Service, on the other hand, is a managed instance of Active Directory in the cloud, and is often called AWS Microsoft AD. 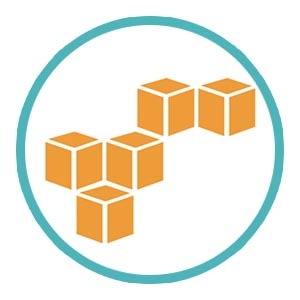 With AWS Directory Service you can use pre-existing AD data in the AWS cloud, which provides a mechanism for DevOps engineers and IT admins to authenticate their AWS cloud servers. It also allows for single sign-on (SSO) for AD users in AWS applications, giving an AWS-centered enterprise ease of use for all users. So, depending upon what you are looking for, you have two completely different choices. On one hand, you have a platform to build an internal application upon, and on the other is a way to link your existing AD instance to AWS resources. While both of these tools from Amazon have ‘directory’ in their name, neither is a fully featured directory service. For those interested in cloud-based authentication services, there is a cloud-based directory authentication service built to work with a wide variety of platforms, including AWS. JumpCloud Directory-as-a-Service is a broader cloud identity management platform that can create one identity to connect to not only AWS cloud servers, but other IT resources including systems, applications, files, and networks. The JumpCloud platform really functions as a reimagination of Active Directory for the cloud era, which can operate for not only Windows machines, but Mac® and Linux®, as well. 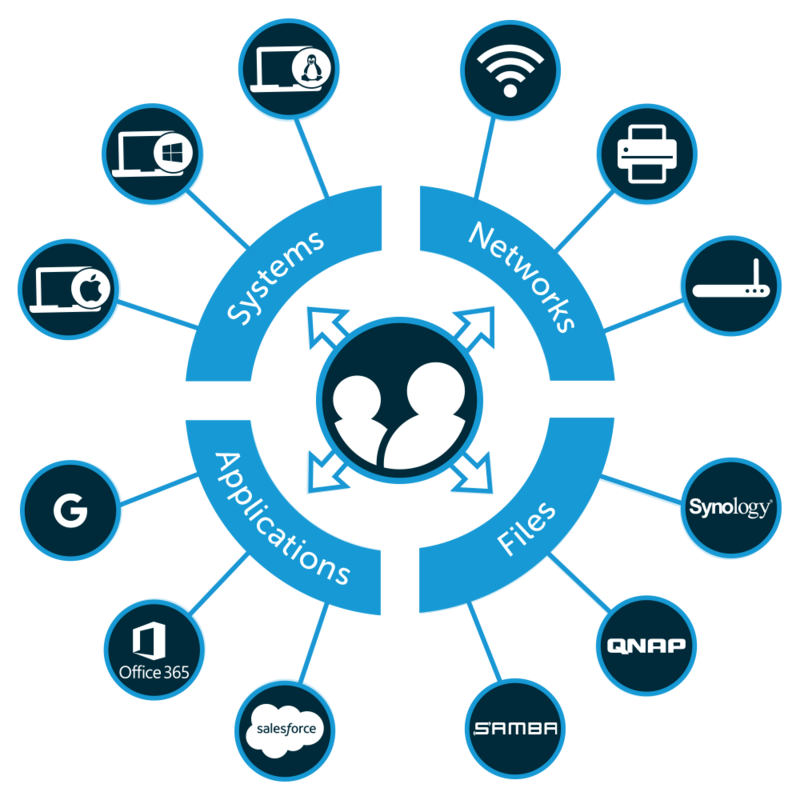 It also includes True Single Sign-On™, allowing users to sign in to all of their connected systems, including AWS cloud servers, G Suite™ productivity apps, or storage solutions like Box, Dropbox™, or G Drive, all with one secure identity. Now, users can go from 191 passwords to 1. If you are trying to understand AWS Cloud Directory vs AWS Directory Service, you’ll also want to learn more about Directory-as-a-Service and what it can provide to your enterprise, whether connecting to your systems, applications, files, or networks. Check out the video above or see for yourself with a free trial, with up to 10 users forever. Feel free to contact us if you have any further questions.. We’d be happy to help.